Donna’s focus is in real estate development and public law matters. She represents clients in a broad range of commercial, residential and mixed-use real estate matters, and has represented national retailers, real estate developers, Real Estate Investment Trusts (REITs), community development corporations and public entities. She has significant experience in urban redevelopment matters, including tax increment financing, entitlements and Chapter 353 tax abatement projects. Her work includes affordable housing developments, economic development incentive projects and public/private partnerships. 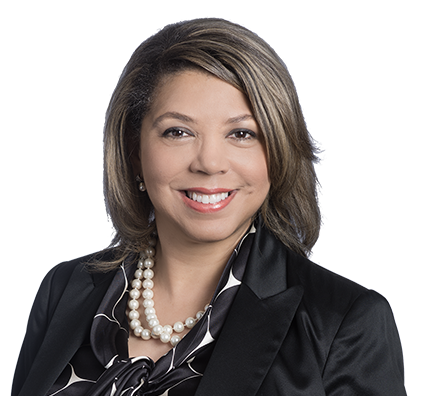 She represents clients in obtaining governmental approvals in matters involving zoning, platting, special use permits, variances and land use planning, and has secured zoning approvals for more than 100 telecommunications sites. Additionally, Donna assists clients in municipal, state and federal affirmative action program requirements, including the development of affirmative action policies, MBE/WBE utilization plans, minority contractor outreach and compliance reporting. Through her experience in handling matters involving governmental entities, Donna has drafted legislation, handled “sunshine law” matters and administrative hearings, and code compliance matters. She also represents public and private educational entities, and provides legal counsel on state and federal education laws/regulations, open meetings and records matters, and development of school policies. Donna has served as legal counsel to nonprofit organizations, and in this capacity, she ensured compliance with state and federal laws, developed organizational policies and oversaw the administration of risk-management processes. She also served as board secretary and attorney for the Kansas City Board of Police Commissioners, where she presided over disciplinary matters, provided advice on department rules/regulations, developed policies for the Office of Community Complaints and negotiated settlements of various lawsuits. Represented developer in adaptive reuse of historic building into 68 new affordable housing apartments for the physically disabled offering special services using federal and state low income housing and tax credits, tax abatement and tax-exempt bond financing. Represented developer in the development of 54 units of affordable senior housing using HOME funding, state and federal low income housing tax credits, and tax abatement.